Ja Morant dribbles the ball between his legs, crouching low...lower...so low his gangly arms nearly graze the hardwood. Like a spider stalking its next prey. He approaches Murray State assistant coach Tim Kaine, who has grabbed a ball of his own at center court. Kaine's turn for a shot at Morant. But they're not going to go one-on-one. Kaine's chosen competition? Half-court, back-to-the-basket shots. When Morant reaches Kaine, the two turn around and begin chucking balls over their heads, seeing who can do the near-impossible. The match ends in a draw. And just after it does, Matt McMahon, the team's head coach, calls for Morant. His turn. Morant screams. McMahon squeals, practically giddy to be sharing the court with college basketball's most dynamic player. Even a coach can get caught up in it. That fun. That electricity. That high. Morant makes you believe you're better than you are. More confident. More dangerous. You hold your follow-through a little bit longer. You puff your chest out a little bit farther. Everyone here in Murray feels it, and certainly everyone in the Racers' basketball home, the CFSB Center. Teammate Shaq Buchanan gives his favorite memory, from Murray State's Midnight Madness scrimmage in October. That night, Buchanan was one of four teammates Morant leapt over on a dunk. Morant lined them up. Had them bow their heads. And he cleared all four to hammer it home. "No. 4, 23, 32 and me," Buchanan says. "He just kept going up." The 6'3", 175-pound Morant steals all eyes. He converts everyone from opponents to his own coaches into spectators and fans. This is what happens when someone makes the extraordinary routine. Every time he has the ball, it feels like everyone is waiting to see what he will do. How high he will rise. Who he will ruin. "I've got this mindset now," Morant says, "that I'm going to finish the play no matter where the defender's at." It's gotten to the point where his father, Tee Morant, gets a bit embarrassed when his son thunders one through someone. He becomes conscious of everyone in the 8,500-seat arena looking at him for his reaction. Sometimes Tee is too shocked to display emotion. And it's not just the highlight-reel dunks. Morant leads the nation with 10.2 assists per game, to go with 24.1 points and 5.6 boards. His passes are versatile. Left-handed. Cross-court. Thirty-five-foot lobs. Threading-the-needle. Behind-the-back. Penetrate-and-kick-out. He's quick and fast, able to change gears instantly without a hitch. Not to mention that the 19-year-old sophomore has the IQ of a basketball lifer. He can dominate an offense without stepping outside of it. He plays the right way and the entertaining way. "He's a basketball genius," McMahon says. "A once-in-a-lifetime player." The type of player, of course, that NBA scouts are flocking to Murray State (17-4, 8-2 in the Ohio Valley Conference) to see. But also the player who was unranked as a recruit out of Dalzell, South Carolina, a town of just over 3,000. A player major Division I recruiters missed. Back in Dalzell, he had offers from only Maryland Eastern Shore and South Carolina State. Now he's garnering comparisons to Russell Westbrook and jumping as high as No. 2 in mock drafts. Now everyone is itching to tell his story. Burning to ask the same mythologizing questions: How did he become an overnight sensation? How did he go from nowhere to being everywhere? How did he end up in a small, little-known town in Southwest Kentucky, a two-and-a-half-hour drive from the nearest big city, Nashville? Truth is, Morant didn't just end up at Murray State. He chose it. Knew it was right for him. Knew the program stood for what he stood for. Knew it was a place that would give him a chance to prove himself. "Entitled to nothing, grateful for everything." Morant doesn't really take days off. Especially not today. It's Martin Luther King Jr. Day, but he has three media interviews, plus weights, plus practice. He is used to the grind. He spent his childhood hoisting 10-pound medicine balls above his head while doing defensive sliding drills. Racing two-and-a-half miles from his home to the end of the road and back. Jumping over tractor tires bigger than his body. Hustling in pick-up games in his backyard, where his father wouldn't allow him to call fouls, no matter how much his small, skinny frame was getting smacked around. So today, near Murray State's practice facility, Morant looks calm. Even as his draft stock rises and requests for photos, autographs increase, he doesn't seem overwhelmed. Maybe that's because he's comfortable in the spotlight. Tee made sure his son would be, by making him dance at family cookouts in front of dozens of people when he was a kid, mostly to Michael Jackson's "Beat It." Little Ja would shimmy left and right, wearing MJ's signature white glove. Murray reminds him of home. Outsiders mischaracterize it as a horse-and-buggy town—a place he is too good, too big for—but for Ja, it's just right. CFSB Center has the same family feel of Dalzell. Grandfathers, grandchildren, sons, mothers, babies, an entire branch of one family will fill one row to watch the up-tempo Racers score. People dress in their blue and gold at local staples like The Keg and Matt B's Main Street Pizza. They discuss the outcome of the previous night's game over breakfast at Hih Burger and Hungry Bear Pancake and Bar-B-Q House, a team favorite. Morant might not have his mom Jamie's spaghetti or banana pudding or cheesecake, or the church he grew up in, but he's comfortable. The people of Murray love basketball. They love hard-working people. They love a hard-working basketball team. "We've had fanfare around great players: Popeye Jones, Marcus Brown, Isaiah Canaan. It can go on and on and on," says Lindy Suiter, who runs TheRacerInsider.com and for whom support of this program goes back five generations. "But I think what's different about Ja is when we go on the road, how the opposing fans are coming to watch him." "I've never seen anything like it," Suiter adds. But Morant seems to float above the fame. Like he's watching a movie of his life play out—a movie he's scripted in his head since he was a kid, even when few outside his family wanted to invest in it. "It's hard, but at the same time I try not to pay attention to it," Morant says of the attention. "I'm just trying to be the best leader I can be to help this team. "My personality, the person I am, I don't like saying no to anything. With our fans, I still interact with them and everything just to show that I'm not big-time. I'm not Hollywood. I'm still the same Ja I was before this happened." It is an odd feeling when you've spent most of your life trying to convince people you're worthy. 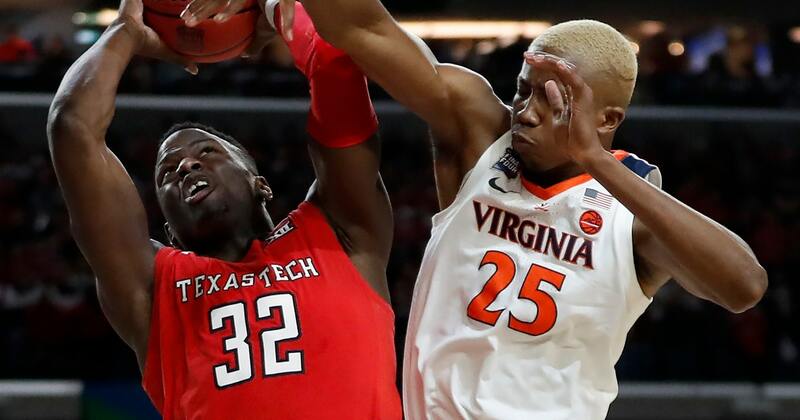 Morant only got this chance in the first place because former Murray State assistant James Kane, on a snack break, happened to see him playing three-on-three during a trip to check out a player from a different school. And now suddenly everyone thinks he's great. He's enjoying the moment but not letting it change him or satisfy him. He was never after attention. Never after this hype. He's been after something much more elusive, much harder to attain. It's not enough to see his name on draft boards or hear it in highlights. Especially since everyone still seems to butcher it. It's pronounced "Jah MOR-ant," and even if he doesn't care about the attention or hype that come with fame, he does yearn for people to know that name. It's why he got "Morant" tattooed on his arm his senior year at Crestwood High School. It's why he is motivated by what his dad—a member of Hillcrest High's 1992-93 state championship team, alongside Ray Allen—told him growing up: "Every time you get on the floor, separate yourself." It's why he still grades himself on a scale of 1 to 10 after most games. And why he's a tough grader. After playing Alabama early this season—a game in which he dropped 38 points, nine rebounds, five assists and a monster dunk but had 10 turnovers—he graded himself a 6. "He never thinks he's better than anybody," says Davonte Pack, his close friend since age eight. "He's still got that chip on his shoulder, like he's got more to prove." Practice starts, but the Racers' energy is low. Players aren't meeting the pass. Or talking. Or sprinting. McMahon calls the group "soft" more times than two hands can count. "I guess we don't like working hard on Mondays!" he yells. Morant seems to take it personally, almost like the lull is his fault. His responsibility. He can't stomach not winning a drill. Or anything. He takes his duties so seriously that even as a counselor during summer Racers camp, his team of scrappy seven-to-10-year-olds has won the tournament the past two years. So the next defensive drill, a four-on-four close-out series in which the defense has to get two straight stops, Morant has two quick deflections to complete the job. "Fly around!" McMahon yells as the drill continues, calling for players to rotate and close out quicker. "Fly around!" Next time up, Morant flies in ways most would assume an offensive-minded college player isn't capable of. He steals the ball again. Then, switching over to offense, he huddles his teammates up for a quick word. "He gives me confidence," teammate KJ Williams says. "He'll always say, 'I'm looking for you.'" Sure enough, Morant whips a behind-the-back laser to forward Brion Sanchious for an easy bucket inside. Morant breaks into a smile so big you'd think he delivered a game-winning assist at the Final Four. His joy after watching a teammate score off one of his passes is palpable. Always has been, even though his teammates have butchered his dimes since elementary school. Tee used to say, "When he goes to middle school, they'll make 'em." Nope. "When he goes to high school, they'll make 'em." Nope. Well, sort of. At least more than before. Finally, at Murray State, they are making them. "If Ja has somebody that finishes plays, he's in heaven," Tee says. "As long as he knows he got four guys willing to go to war with him, you can count on him to leave everything out on that court." But a few plays later, here at practice, Williams, a post player, somehow winds up bringing the ball up the court. McMahon stops the play. He chastises the group for having a big run the fast break. "That's me, Coach," Morant interrupts, looking disappointed. He puts his hand up slightly, as if to flag down a waiter for the check. "That's me." "Why not me?" Morant spent a lot of nights in high school asking himself the question. Especially late at night, out in his backyard, the court so dark he could barely see his sneakers on the concrete. Even in the daylight, he felt like few saw him. Truly saw him. "Why am I not one of the top players?" he'd ask himself. "Why aren't I being talked about?" He didn't know what more he could do. He'd drop 40. He'd dish out double-digit assists. Pack would often be there with him, shooting with him in the backyard at night, reminding him to stay patient: The offers are gonna come. But the questions tugged at Morant. "He was in a little sunken place," Tee says. "But he continued to work. That's the thing I loved about it: Because of the fact they overlooked him, he used it as motivation." He had to continue to impress these evaluators, these predictors of future success. He'd see them at tournaments, packed to watch his SC Hornets AAU teammate Zion Williamson, now Duke's superfreshman, and Devontae Shuler, now a sophomore at Ole Miss. Morant learned the food chain early. These recruiters could be dream-makers or dream-killers, depending on who you are, how much money your parents make and where you come from. They'd carry a thick book full of names. Names that weren't Morant. He didn't pout, though. "He's a true team guy," says Nicolas Claxton, who played on the Hornets with Morant and now plays for the University of Georgia. "He was always upbeat. You wouldn't see him getting down on himself." Morant just kept working at it, even in the classroom. He asked Crestwood principal Dr. Shirley Gamble if he could take an extra course to increase his GPA. "He didn't need it," Gamble says. "His GPA would have gotten him into any college, but he just wanted to make sure he was prepared for the next level." He felt the same way about basketball, so he was always working on his agility. His speed. His jumper. "If we were crazy enough to give him a key, he would have stayed in [the gym from] the start of school till the end of school and the next day..." says Ronnie Brown, a Crestwood assistant coach. "I never once heard him mention, 'I'm better than this kid.' Or, 'I should be ranked higher than this kid.' He just went about his business." Tee kept him focused on the drills. The defensive slides. The proper shooting form (Tee called the follow-through a "gooseneck" and reminded Ja to hold it up). Repetition after repetition. "My parents really helped me stay focused, keep working, and I think I just stuck to it," Morant says. "That's what makes me more humble." His confidence has always been quiet. He's never had to announce himself when he entered a room. Part of that confidence comes from Tee—though Tee, who played at Claflin University in Orangeburg, South Carolina, was much louder, much more in-your-face, as a player. "Tee was fearless," says former Crestwood coach Dwayne Edwards, who coached both Tee and Ja. "Up 50 or down by 50, never thought no one was no better than him on the court." Tee would sacrifice his body. He'd take charges. He was full of ambition. Always ready to work. "I notice those things in Ja now," Edwards says, remembering when Ja would ask, mid-game, to guard an opponent's best player. Edwards would tell him he was going to burn himself out and the team needed him to score. But Ja was adamant: "Coach, let me have him!" He needed to prove he could shut down the best. His first few weeks of practice as a freshman at Murray State went similarly. "You felt like he wasn't a freshman," Kaine says. He was passing and cutting and directing and moving and scoring. Just like he is now. This season, he's dropped career highs of 40 points (SIU-Edwardsville) and 18 assists (UT Martin), further cementing his case as one of the best to ever play for the Racers. But those in Murray already knew that. People here have been feeling the excitement since his first pick-up game on campus. Jonathan Stark, last season's leading scorer, came into McMahon's office afterward. "Coach," Stark said, "we got a good one." Mirin Fader is a writer-at-large for B/R Mag. She's written for the Orange County Register, espnW.com, SI.com and SLAM. Her work has been honored by the U.S. Basketball Writers Association, the Football Writers Association of America and the Los Angeles Press Club. Follow her on Twitter: @MirinFader.